Do you leave extra paint when you leave? At Core Decorating, we understand that little brushes and scratches can happen after the job is done, so we always leave you the rest of the paint, especially in cases of custom colors. You can touch up little blemishes yourself or feel free to call us. Can a large hole in drywall be repaired? While most people may think it's a lost cause, there are actually ways to repair larger drywall holes. Cheaper than replacing the entire drywall panel, we'll put in a mesh patch and fill it with joint compound before painting to match the existing color. Do I need to do anything before the painting team arrives? At Core Decorating, we're full-featured, so we'll take care of moving and protecting furniture as well as any heavy lifting. The best way for you to help us is to move smaller and more delicate items to a different room before we come. 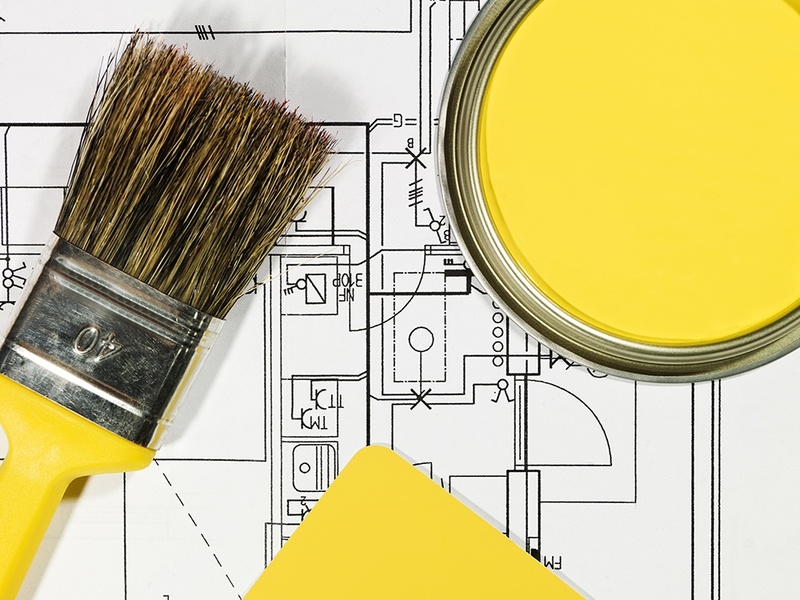 Are you able to paint high ceilings or exterior walls? With our bevy of tools and techniques, high ceilings and exterior walls are no problem. In many cases, we can use telescopic handles and rollers, but for the highest of the high, we'll use either sturdy ladders or bring scaffolding to the job site. How long does a home painting job? Because homes and paint job specifics (number of coats, textures, etc.) are very different, the best way to determine the duration of your Winnipeg home painting job is to call us out for a visit and a professional estimate of length and cost. Can exterior home paint be pressure washed? The answer is yes, but we would highly recommend not trying to do it yourself. When done incorrectly, it can strip the paint off your home, creating more expense and work to do. It's better to call the pros at Core Decorating. Call 204-786-3242 to speak to Winnipeg's Best Option for High Quality Painting. We're local to Winnipeg, but Core Decorating is also available for painting work in the surrounding area as well.